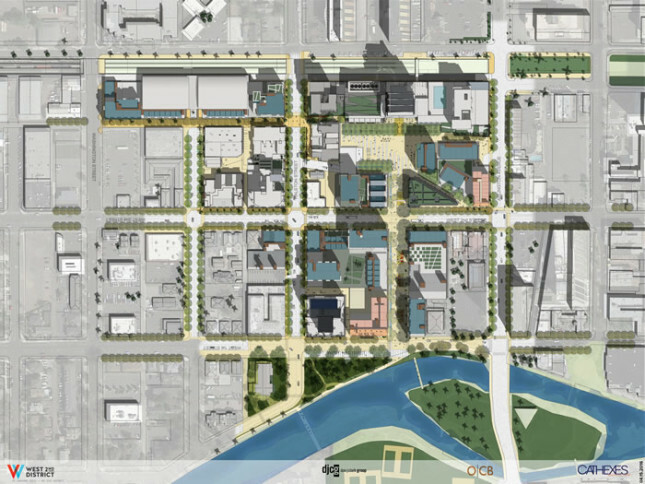 Two weeks ago we reported Las Vegas city officials and outside consultants are proposing a new downtown. 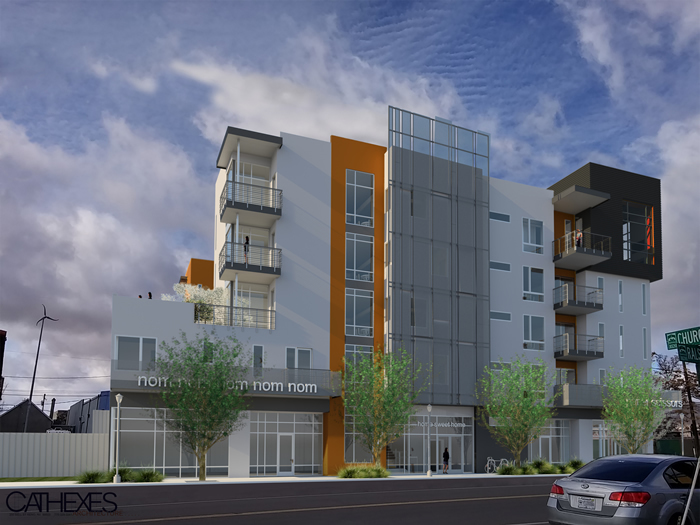 Now farther north in Reno, local developer Don J Clark Group has unveiled plans for a new downtown. Their proposal centers on both physical infrastructure (a large park, water reclamation, building a tower downtown taller than the current 42-story Silver Legacy Casino Resort) as well as virtual (gigabit internet). “The project is aimed at finding a creative solution to a variety of distinct challenges that the city of Reno…has faced over the course of the last half of the century or so,” Colin Robertson, partner and director of communications and strategy for Don J Clark Group told Nevada Public Radio. 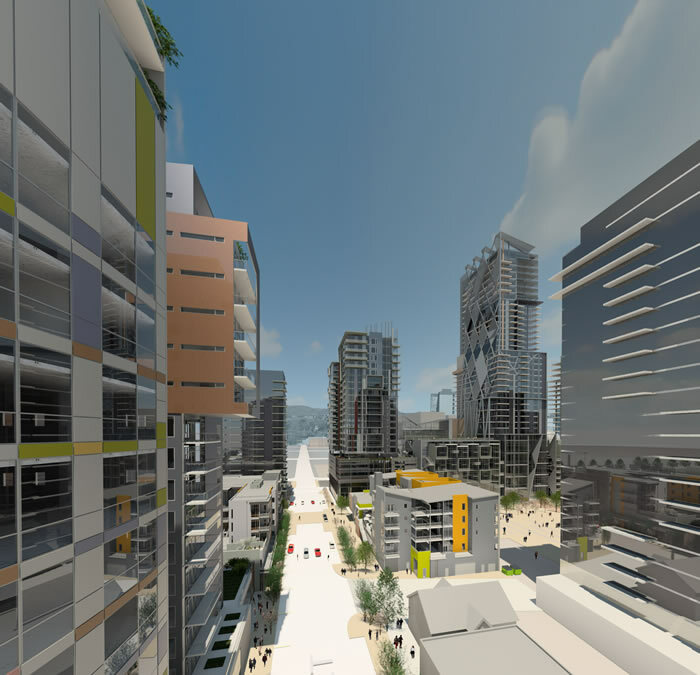 Dubbed the West Second Street District, the over $1.2 billion development is planned for north of the Truckee River and west of Virginia Street downtown. The site is currently 17 acres of infill. 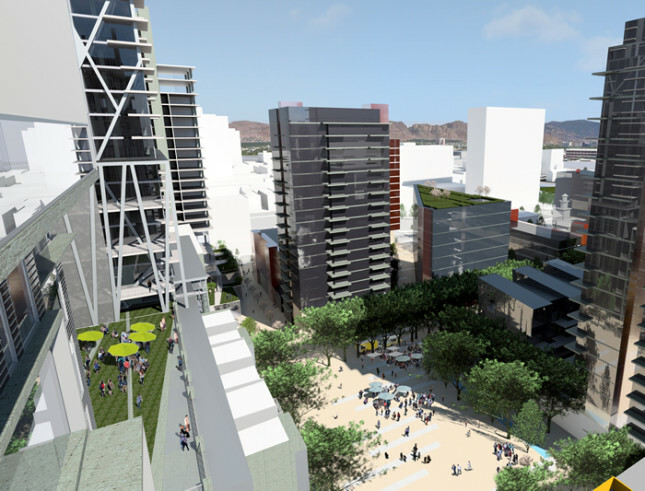 Renderings reveals the biggest project for downtown Reno to date: 1,900 residences (condos, apartments with 20% affordable units for those making 80% of the median income), over 250,000 square feet of retail space, 450,000 square feet of office space, river access, three acres of green space, public art, and more. 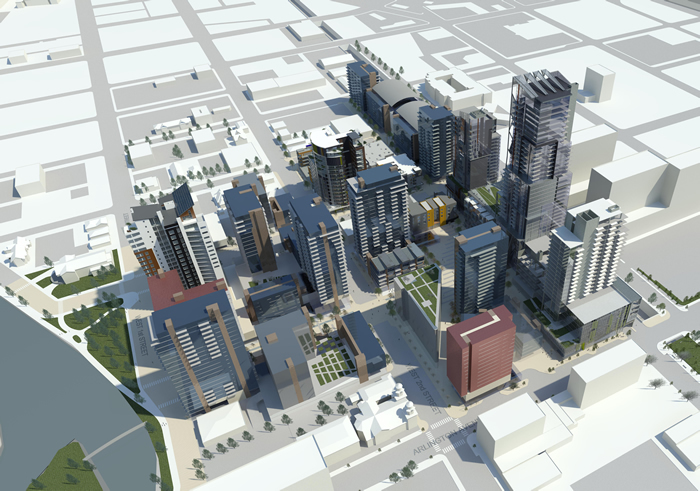 Thirty buildings could be built over the next ten years, with the first, a mixed-use commercial and residential building, at 235 Ralston. 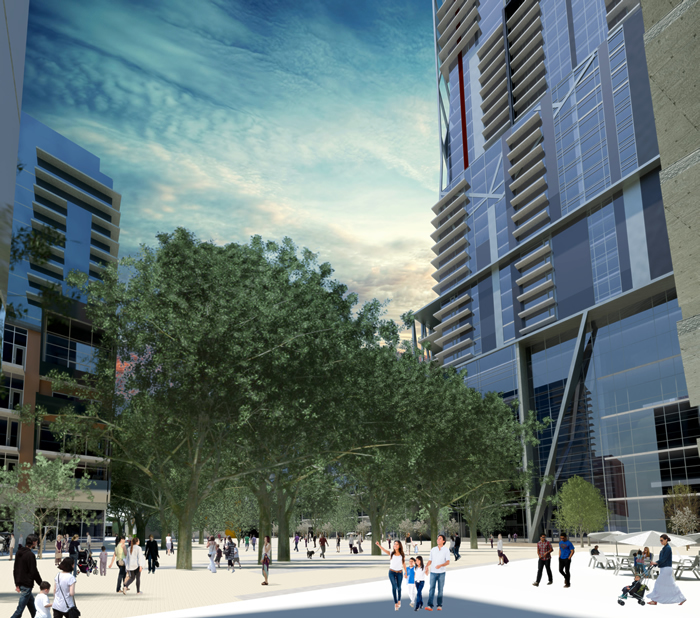 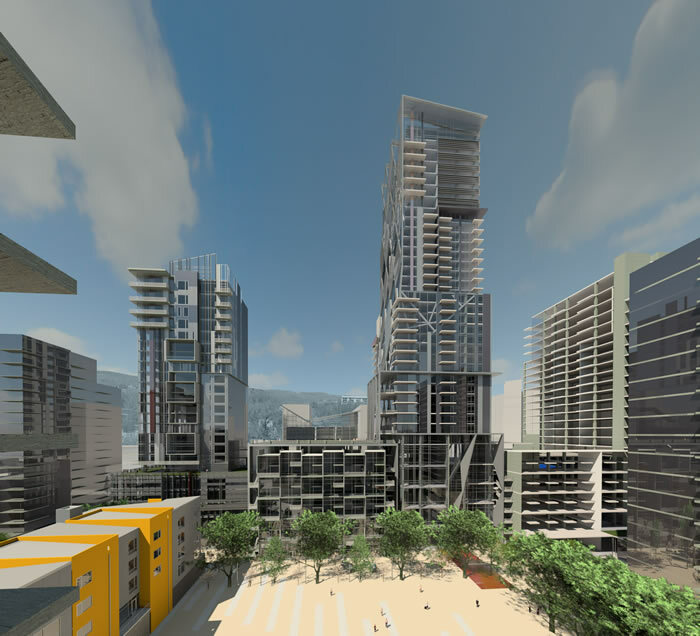 More renderings below, and here is a look at prior Reno redevelopment projects, both unbuilt and realized. 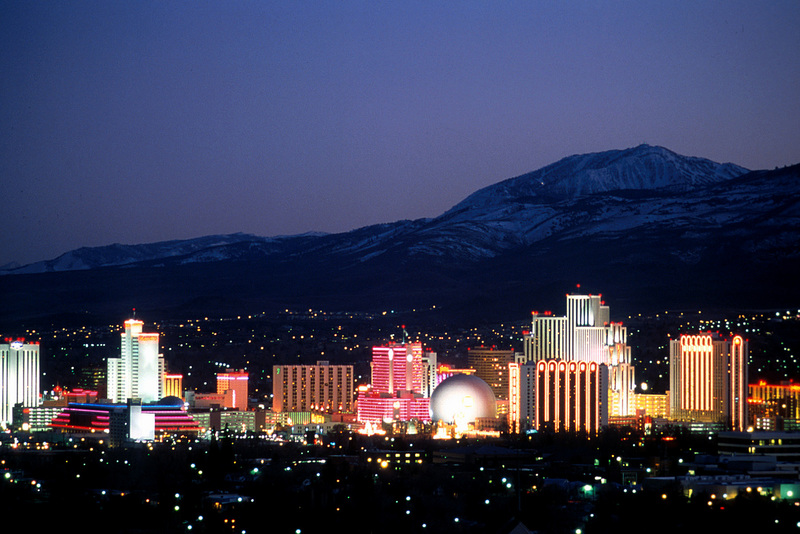 Don J Clark Group will now see whether Reno approves the $100 million deal.